Oh this is beautiful , love the colours it looks very sophisticated! This is simply stunning! I am loving your new shell line! Really beautiful Lesley!! The new Shell designs you're making have a leaf quality to them as well, looks stunning with Karen's Focal. Oh my gosh, this is really too beautiful for words. I really like that – like you said simple but what a statement it makes. The veins in the leaves and the skeleton of the shell – a brilliant pairing visually !!! Love it!!!! OMG!!! I love it's simplicity and elegance!!!! 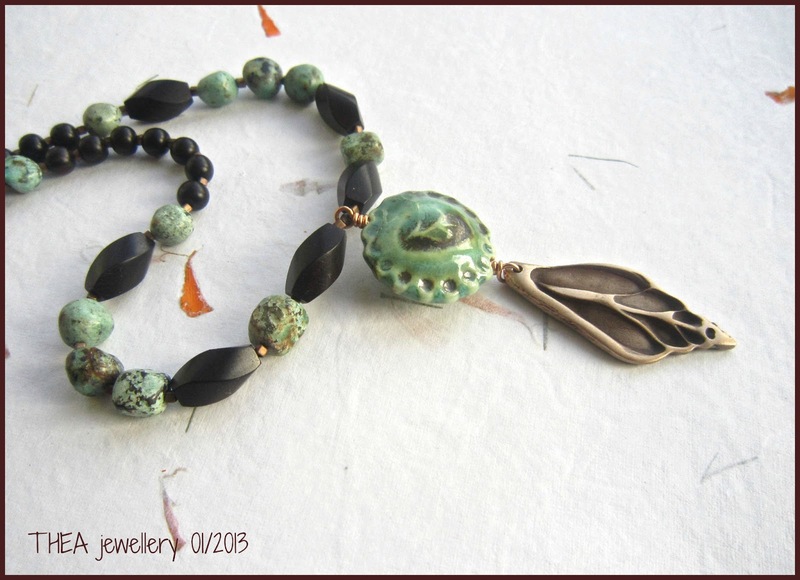 Lesley this is so elegant – the palette and textures are perfect – you have really captured the "feel" of this bead in your necklace! Oh, and thank you for the new term "Pithivier"! ha! It's gorgeous, Lesley, as usual! I love the colors you used, they are perfect for that focal! I would keep it too! Oh, I LOVE this! Gorgeous pairing of focals and colors! Beautiful, Lesley! Elegant with a touch of the rustic. 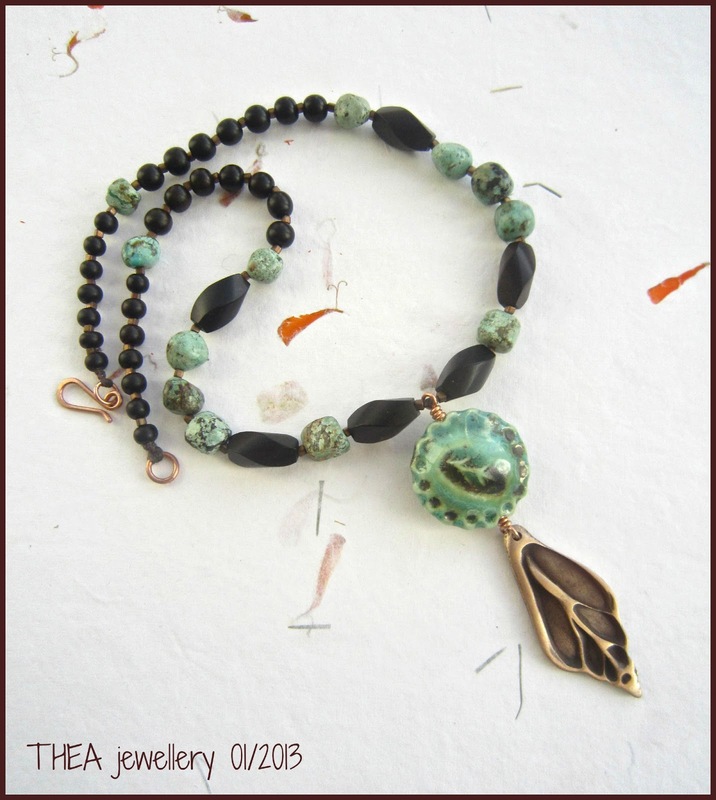 The shell and Karen's bead do both look a bit leafy, and your colors are perfect! Love it! Lesley, OMG! I love this! 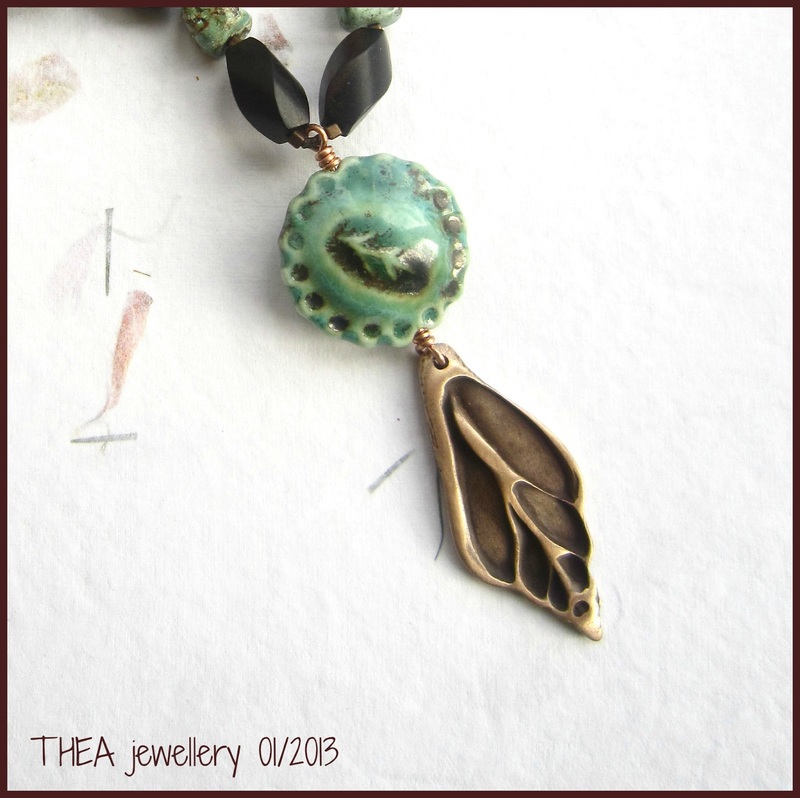 That bronze focal is stunning, and a perfect partner for Karen's pie bead. And I love the palette you chose for this – just wonderful. Yum! Gorgeous! 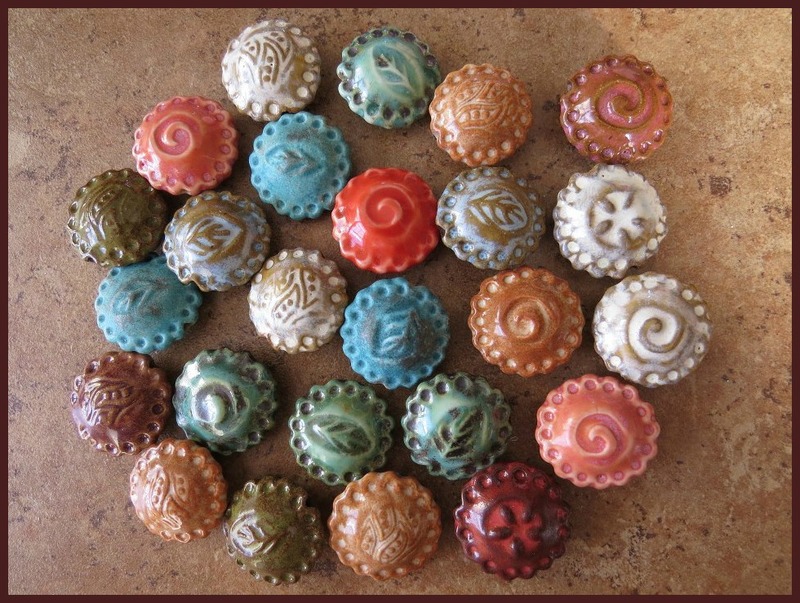 Love how you created the focal – but your accent beads look like they were made to go with Karen's bead! 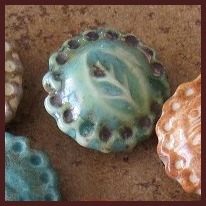 Love what you have done with the "pie" bead. Stunning necklace and your bronze focal is amazing. So pretty. Love the focal and the accent beads are fantastic. They match SO well! Ooh, Lesley..what a gorgeously yummy necklace! 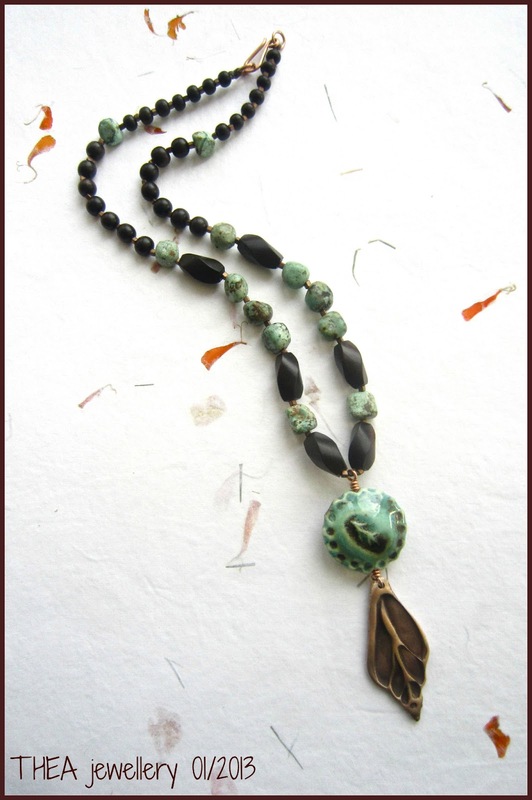 The colors are perfect and your bronze pendant really adds so much depth the piece! Dang that is perfect! Beautiful piece, I would totally wear that!